Home › Home and Kitchen › Metallic Gold Foil Fringe Shiny Curtains For Party Prom Birthday Event Decora.. FITS MOST PLACES - Measures 3 ft x 8 ft. 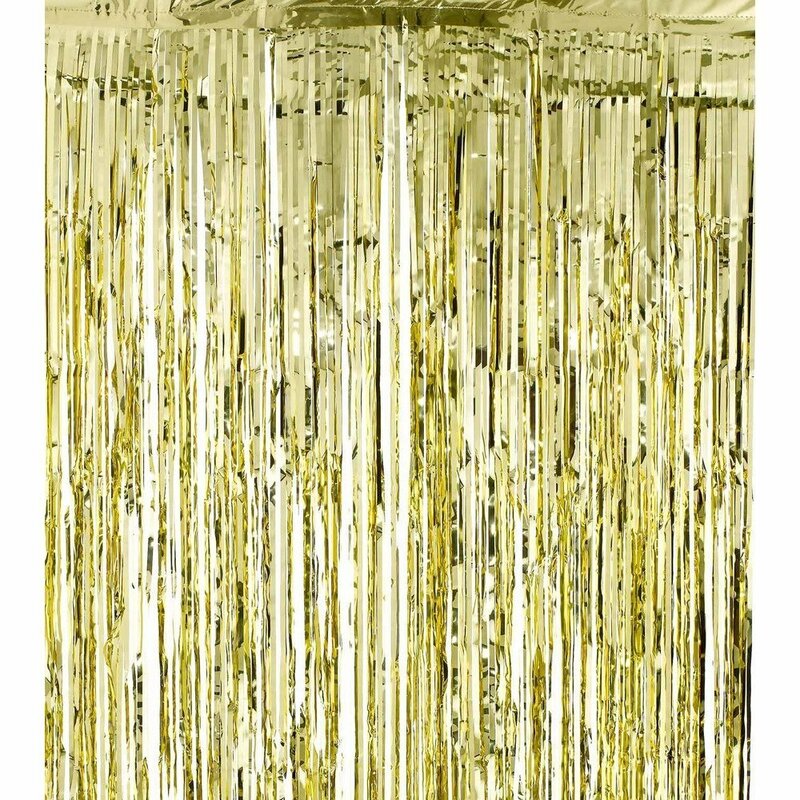 UNIQUE EVENT DECORATION - This shiny metallic gold foil fringe curtain makes an impressive decoration for any event. EASY INSTALLATION - No equipment required (minus maybe a bit of tape)! MAKES GREAT PARTY ENTRANCE - Intrique guests by having them walk through this unique metallic foil curtain to get to the party! STAND OUT - Will definitely bring shimmer and shine to any party and really liven things up! Decorate Your Next Event In A Unique Way! Dazzle any doorway or entrance with this Metallic Purple Foil Fringe Curtains. With this glitzy curtain, everyone will feel like a star at your party! Measures 3 ft x 8 ft. Easy installation. Will definitely bring shimmer and shine to any party and really liven thingsup! NOTICE:The "Super Z Outlet" seller is the only authorized seller, we do not sell wholesale so there should be NO other sellers; Any other sellers are illegally selling their own products using our registered Trademarked company name. In this listing, purchasing from any seller other than "Super Z Outlet" will result in a potentially faulty product that may be unsafe and cause injury. Please be sure to purchase this product from the "Super Z Outlet" seller to avoid any problems with your product and to ensure both your safety and satisfaction.